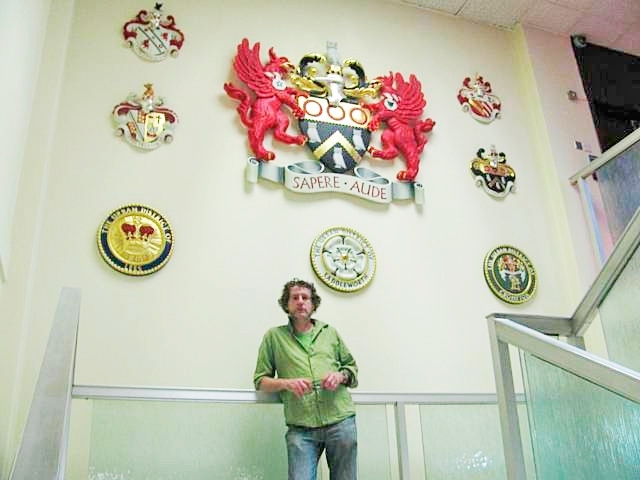 Heraldry: Heraldic Art in the News! Heraldic Art in the News! There's a nice (albeit short) article at Rochdale Online about Charlie Oldham's commission by the Oldham Borough Council to carve the Borough's achievement of arms (and seven other coats of arms and badges) for display in the Oldham Civic Centre. What a good suggestion posted by the peoples..